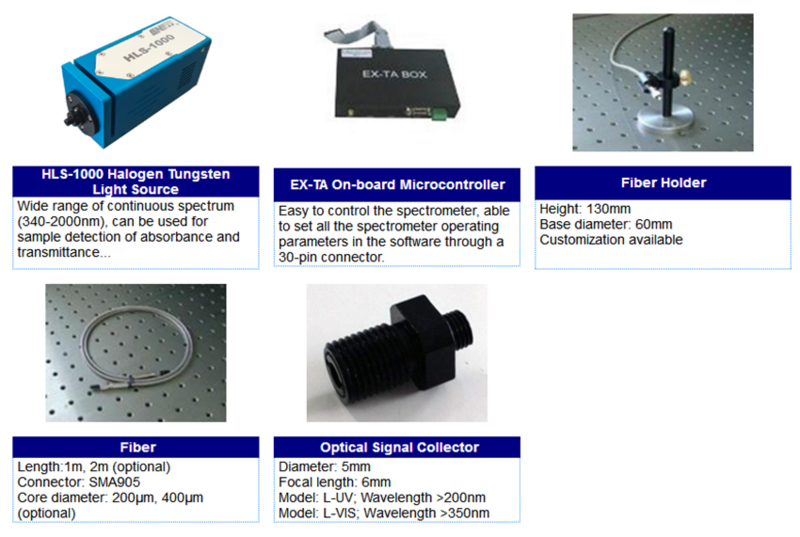 Product categories of Fiber Optic Spectrometer, we are specialized manufacturers from China, Fiber Optic Spectrometer, Ocean Optics Spectrometer suppliers/factory, wholesale high-quality products of Portable Optic Spectrometer R & D and manufacturing, we have the perfect after-sales service and technical support. Look forward to your cooperation! CNI fiber optic spectrometers with the characteristics of compact and portable design, plug and play, easy operation and Spectral Analysis 5.0 software downloads, can replace the old spectrophotometers. They are widely used in Laser wavelength and line width measurement and also the laser excitation fluorescence, Raman and LIBS spectrum measurement. Fiber Optic Spectrometer with the advantages of modularization and flexibility of its measuring system is widely used to measure wavelength and line width of laser, LED and common light source, can accurately obtain the spectral characteristics of the light source which is being tested. CNI developed spectrometers with the characteristics of compact and portable design, plug and play, easy operation and Spectral Analysis 5.0 software downloads, which are extensively applied on the fields of scientific research, teaching, industries and many other applications. 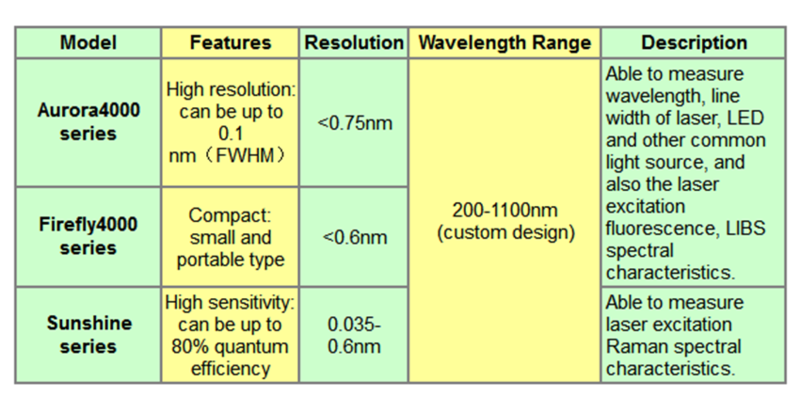 CNI can also customize the wavelength and resolution of the spectrometers according to different customers` demands.